Prisoner of War is based on a true story of a fifteen-year-old boy who left a horrible home situation to join the Marines. The day he was discovered to be underage and sent home, the Japanese attacked the Philippine’s. When the U.S. 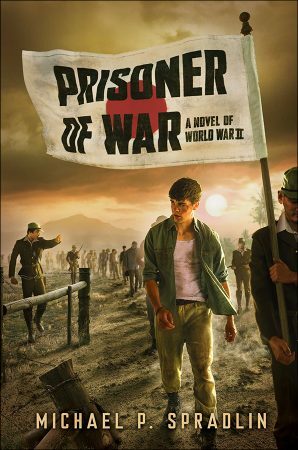 Forces surrendered, young Henry Forest is forced to survive in a Japanese Prison Camp. In the camps he finds the best and worst of humanity. He survives brutal torture, disease and the loss of friends. Before the end of the war he is shipped off to Japan and placed in forced labor at a steel mill. Will Henry survive the hardship of life as a prisoner? Or will he make the ultimate sacrifice. Jams and I spent a lot of nights like that. Talking about all sorts of things. It helped pass the time. But I soon found myself wishing the Japanese would attack. At least then something would happen. The boredom was unbearable. Everyone’s nerves were as frayed as an old piece of rope. Gunny did his best to keep our spirits up, but passing the hours in the machine gun nest was growing unbearable. Especially for Jamison, who started getting more and more jumpy as the days went by. One afternoon he finally cracked. “I can’t take this no more,” he said. “I’m done.” He stood and climbed out of the hole and up onto the ground. “Where ya think yer goin,’ Jams?” Gunny asked. “I’m gettin’ outta here. I’m gonna find me a boat and get off this rock,” he said. 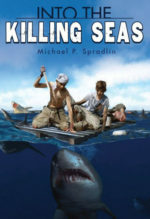 He shrugged his pack onto his scrawny shoulders and grabbed his rifle. Jamison muttered as he adjusted the straps on his pack. He cursed the Marines, the Army, the Navy, General MacArthur, President Roosevelt, Mrs. Roosevelt, the Japanese, and a bunch of other things I couldn’t quite make out. Once he was ready, he set out toward the tree line. “You think I should go get him, Gunny?” I asked. Gunny leaned back against the sandbags and tipped his helmet over his eyes to block out the sun. General Wainwright had been left in charge of all Philippines defense forces when General MacArthur had bugged out for Australia. Wainwright was commanding from Corregidor. Working radios were in short supply, but from what we knew he and his forces were in no better shape than we were on Bataan. “Sorry, Gunny. I didn’t mean to get you riled up,” I said. “I almost wish they’d come back,” I said. Gunny raised his helmet and looked me straight in the eye. I was interrupted by the abrupt return of Jamison. 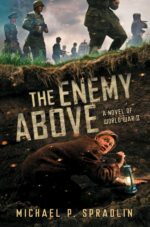 He came charging back into the foxhole, slid down the side of the sandbags, and landed in a heap. “Tell me ya found a boat, Jams,” Gunny said. Jamison could hardly breathe. He’d obviously been running for a while.